A 12-year-old boy died Tuesday after his family's basement collapsed from extreme flooding in the Upper Peninsula of Michigan, local authorities said. The boy, Thatcher Markham, was asleep in the basement of his family's home at the time. His father was able to dig him out of the debris and performed CPR, according to the Houghton Daily Mining Gazette. Thatcher was evacuated from his home by boat because the heavy rain made the roads impassable, the Houghton County Sheriff's Office told ABC News. 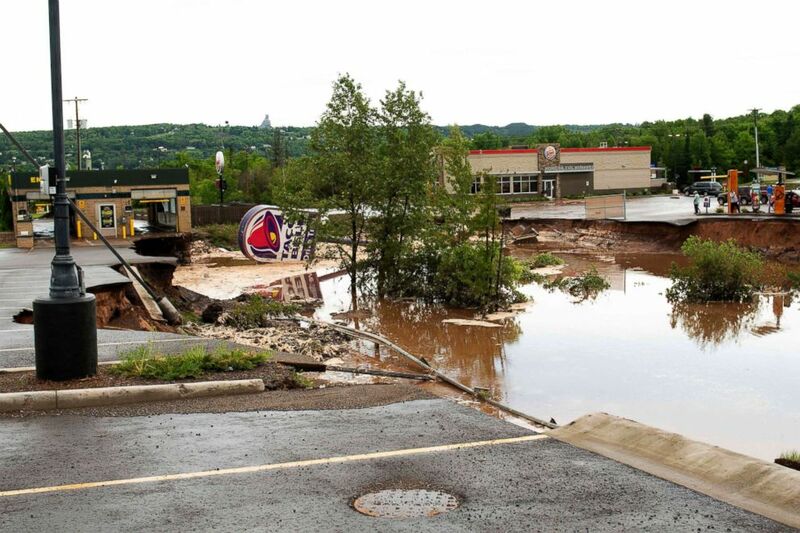 People view where a Taco Bell drive-through caved in and washed away after heavy rains and flooding in Houghton, Mich., June 17, 2018. The boy, who was on life support, died at a hospital in Ann Arbor, the sheriff's office said. "It is with heavy hearts, that we mourn the loss of HMS student, Thatcher Markham, who passed away following injuries sustained during the Houghton County flooding," Houghton Middle School said in an email to parents. "The Markham family has many ties to the Houghton Schools and Community." "For students and families that need support, there are 24 hour counseling services available," the school said. "Please keep the Markham family in your thoughts during this difficult time." Multiple rounds of very heavy rain fell across much of the western areas of Upper Michigan this weekend. 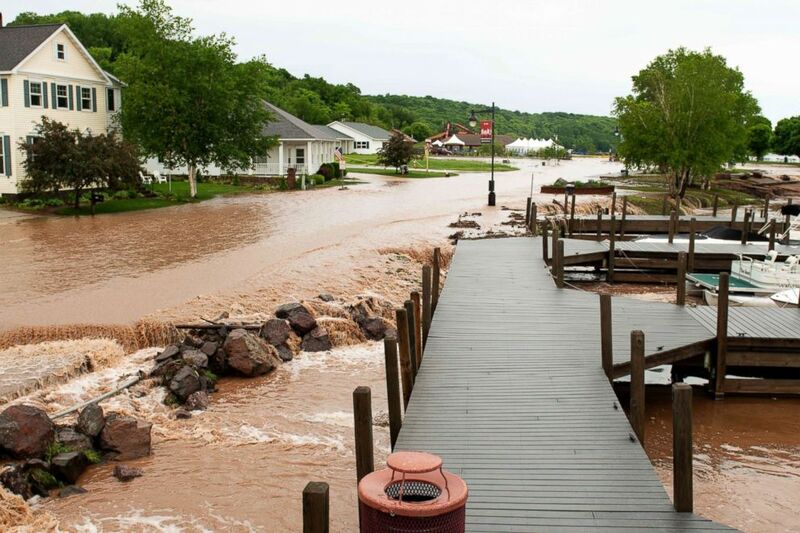 Houghton County was the hardest hit, with nearly 7 inches of rain falling in some areas. Flood waters overflowed the river at Ray Kestner Waterfront Park and Lake Shore Drive in Houghton, Mich., June 17, 2018. ABC News' Max Golembo contributed to this report.